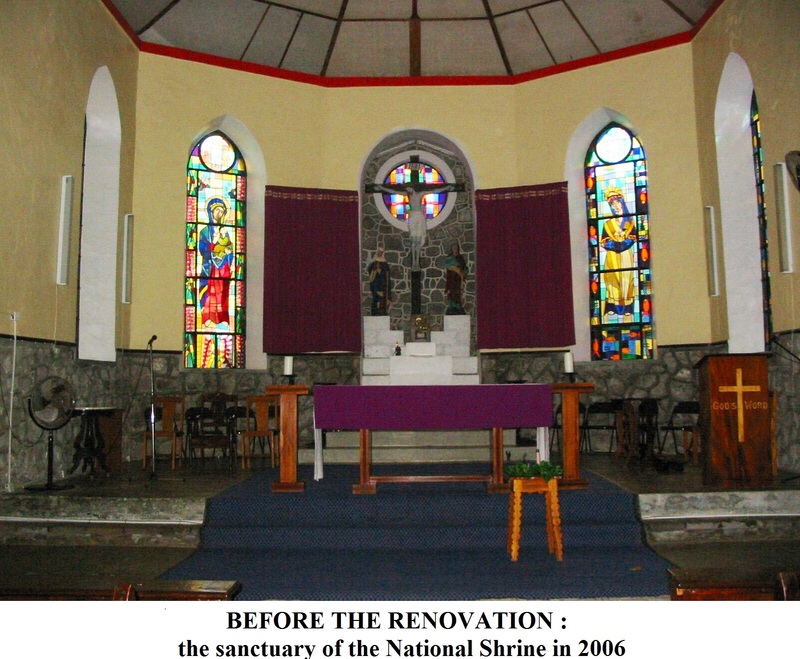 One of my projects which I enjoyed very much doing was the upgrading of the liturgical space at the National Shrine, dedicated to Our Lady of LA SALETTE, in Pointe Michel. It posed unique challenges among others the preparing of a concept and design, planning the proposed works in different manageable phases , and promoting the project. 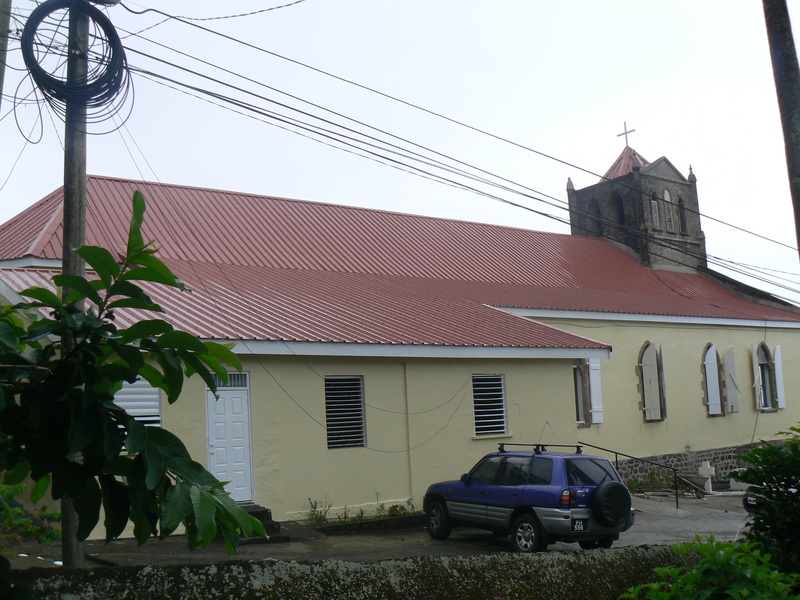 Monsignor Reginald La Fleur, the parish priest, was of the opinion that fundraising for the renovation of the church was bogged down as people did not see anything happening after many years of raising money. 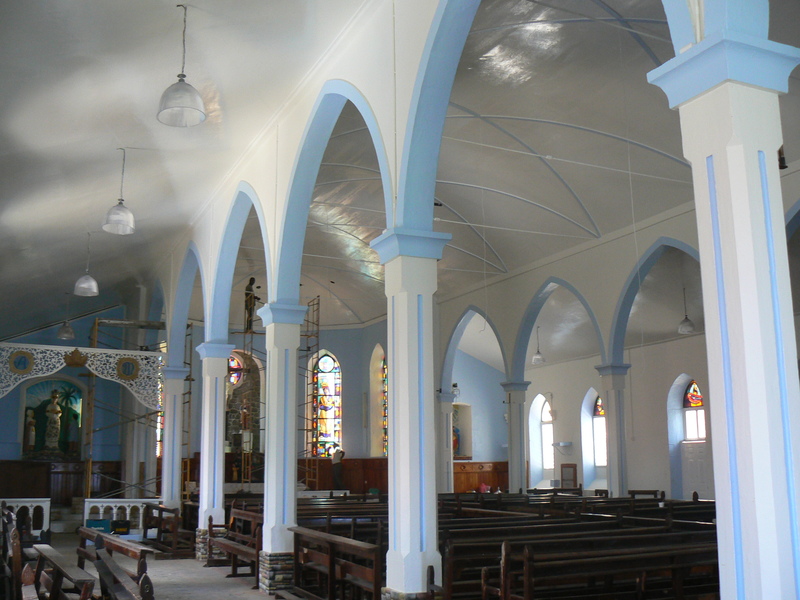 He felt that the roof renovation works should be preceded by some works of enhancement and beauty which would re-energize the fundraising for the necessary roof works. 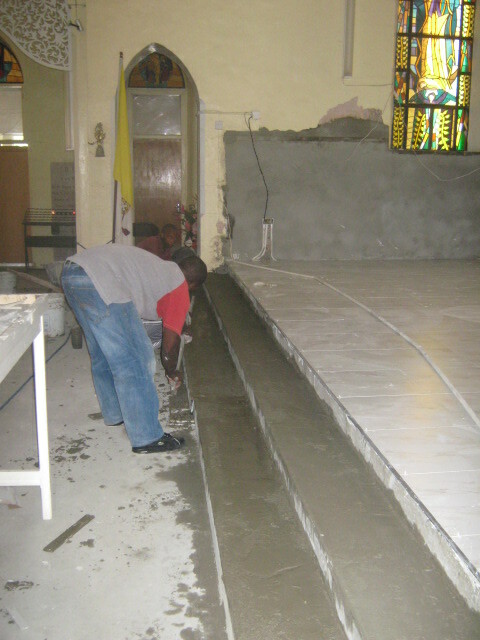 Today, three years later, his vision bore fruits as the roof renovation works are about to start. The parishioners had to be consulted and motivated. They had to “seen” in their minds what was proposed and understand why it was proposed. I started off with a PowerPoint presentation in March 2009 to provide a visual guideline for the proposed renovation works. The presentation was based on the latest liturgical guidelines and aimed to inspire and open minds to beautiful, yet meaningful and religious symbolic improvements. 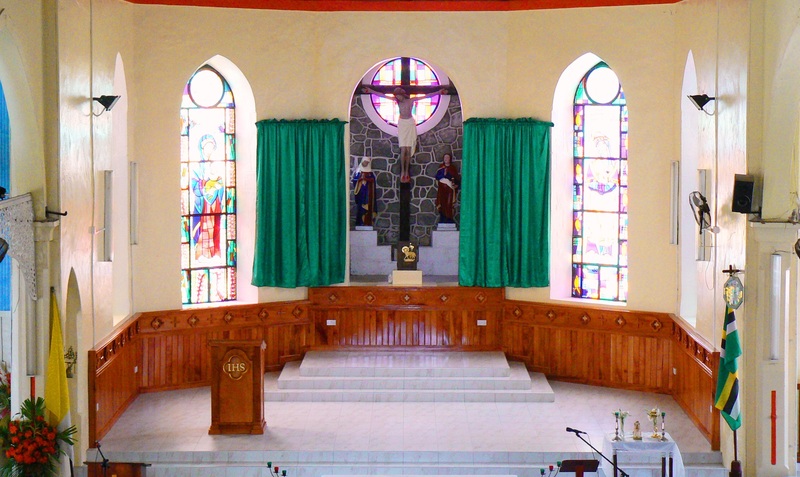 Bishop Arnold Boghaert designated Pointe Michel church in 1983 as the National Shrine of Dominica, dedicated to Our Lady of La Salette. The 1983 Code of Canon Law ( 1230-1234) outlines the requirements for shrines. The National Shrine should be centre of devotion and prayer, of genuine religious intensity ! 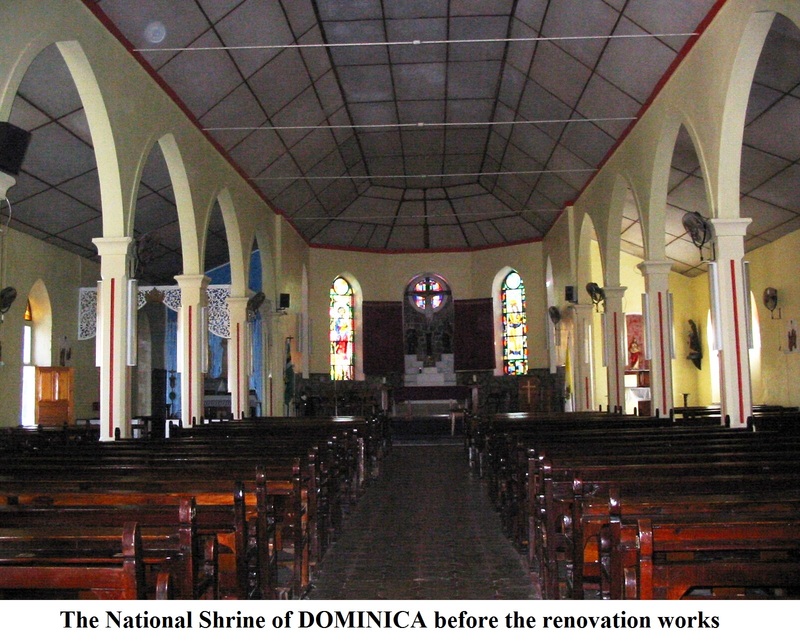 Norms regarding a National Shrine state that the shrine should be easily accessible. This means for our shrine that a ramp needs to be constructed. The Norms also require that the shrine is a place that will promote the faith of pilgrims. A National Shrine should be a worthy and exemplary space for Liturgy. The AMBO: the Place of the Word: a dignified place to proclaim the Word of God. Our Lady and the two children. Install conduits to hide all microphone lines. 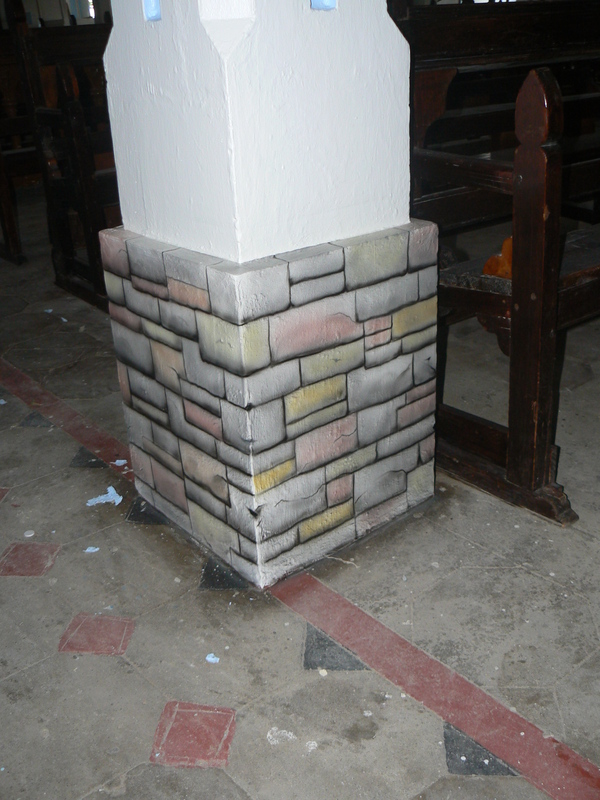 The congregation decided to start with the Sanctuary: local timber panelling and ceramic floor tiles. To find the right tiles for the sanctuary I had to make three trips to Guadeloupe, where the choice of ceramic tiles is enormous. I finally settle on a tile 20” x 20” looking like white marble but not expensive as marble. 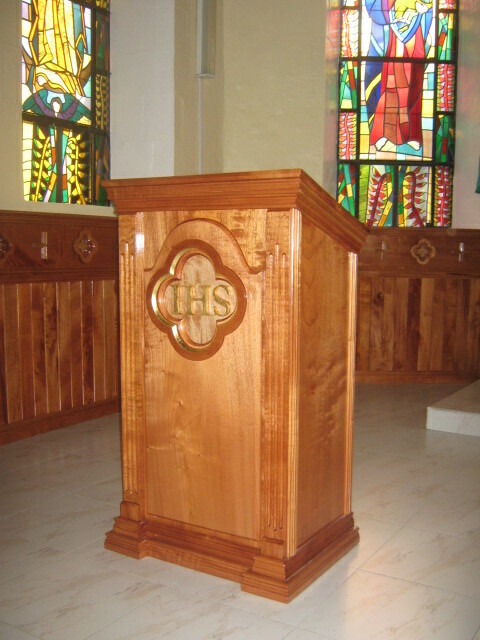 Parishioners got the Forestry Division to provide them with local Red Cedar boards. These were still wet and had to be dried for at least 6 months before they could use. In the mean time a layout for the floor tiles was designed by my office and the religious symbol in the Red Cedar panelling: the quatrefoil. Research on Our Lady of la Salette gave us the colours of the statue of Or Lady and the two children. 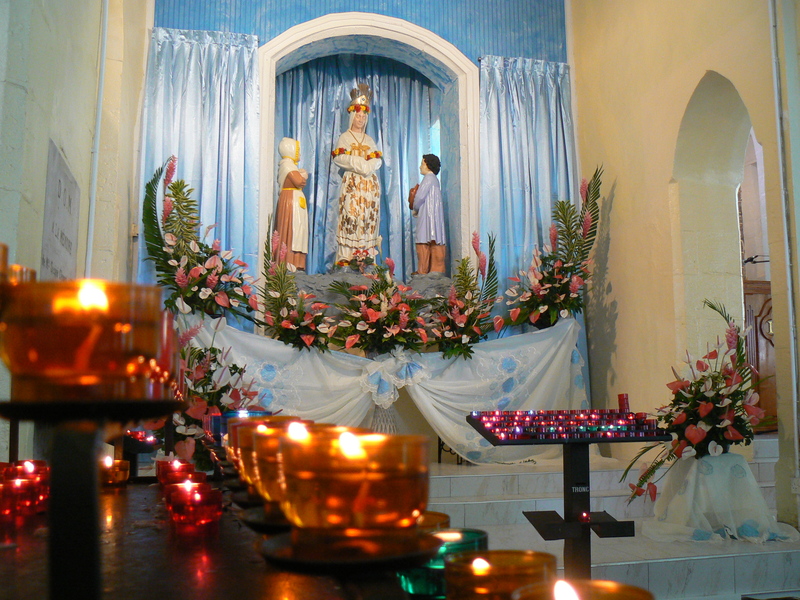 The flowers at Our Lady’s feet brought the whole ensemble to life. With the installation of the conduits and cement screed for the floor tiles, placing of the floor tiles, preparing and installation of the varnished Red Cedar panelling. 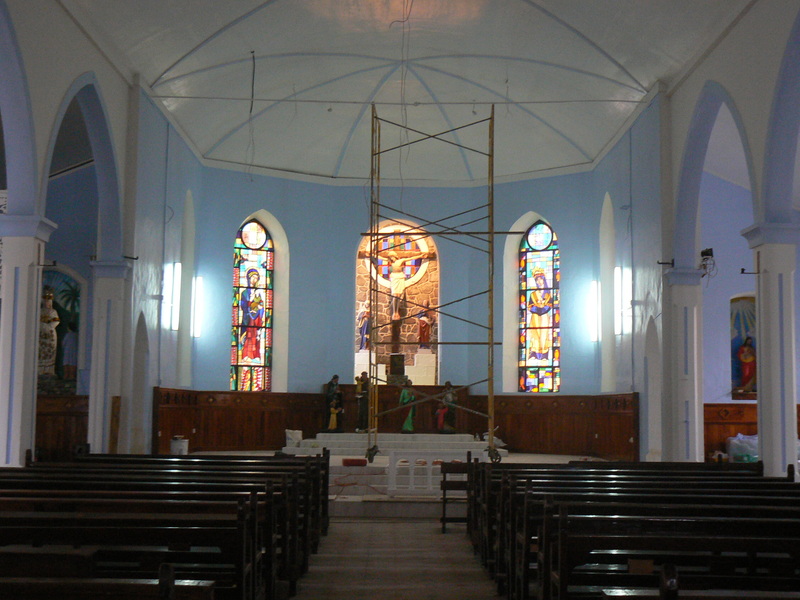 The sanctuary was painted, new lights installed. The final touch was a new Red Cedar Ambo. 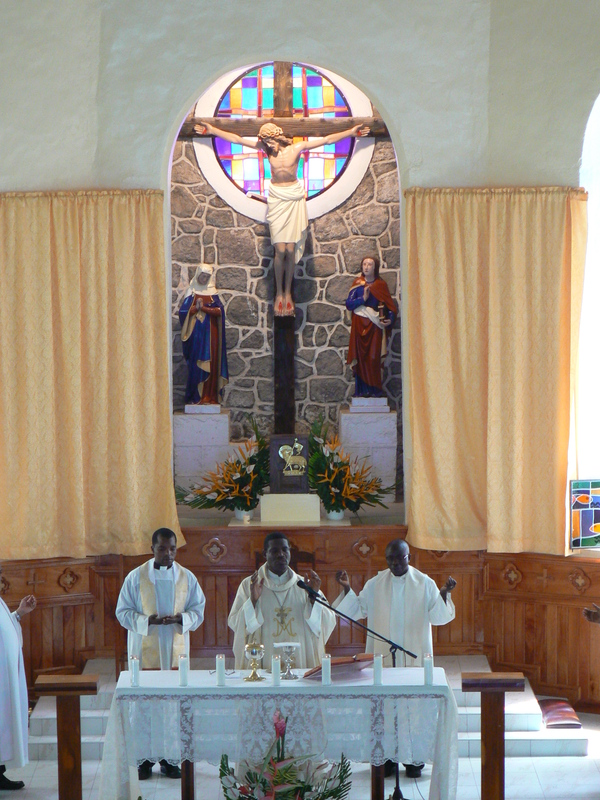 Bishop Gabriel Malzaire celebrated the feast of Our Lady of La Salette in the newly renovated sanctuary. The two side chapels were panelled at a later date.